Cox Automotive has launched a new business division in the United States, recognising the global growth of Mobility as a Service (MaaS). Cox Automotive has established relationships with multiple MaaS providers. The Mobility Solutions Group will be led by president Joe George, and incorporates newly-acquired Clutch Technologies, which is a subscription-based vehicle usage platform designed for the automotive industry. This is said to be complementary to its other divisions. Cox launched the Flexdrive subscription service in 2014, and has a network of reconditioning centres for maintaining vehicles at sites across the United States. 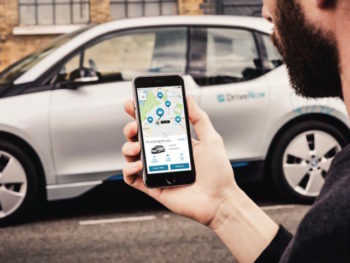 The company also has relationships with MaaS providers including BMW ReachNow, Getaround and Lyft, and has invested in ride and car-sharing platform Ridecell, and LIDAR sensor manufacturer Ouster, which is targeting autonomous vehicles. David Liniado, vice president of new growth and development, Jenny Bedard, head of finance, and Vince Zappa, president of Clutch Technologies, will report to George and help build a team to further develop Cox Automotive’s mobility capabilities. Solutions for other markets are under consideration, with a Cox spokesperson saying global trends were showing growth of ride hailing, car sharing and vehicle subscriptions in Europe.